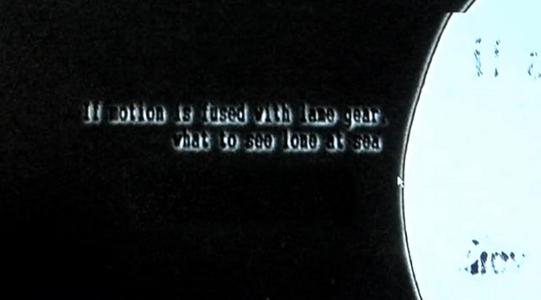 The text itself is a series of anagrams based on an excerpt from the technical manual for the ion beam. Note how Husárová’s use of line breaks focuses our attention on the poetic qualities of the original text, and how each increased level of magnification leads to more highly compressed texts. Her juxtaposition of ancient and contemporary technologies— poetry, alphabet, particle beams, electron microscopy, superconductors, and software— make an intriguing statement on writing in this digital age. Read this work closely to discover what it is.